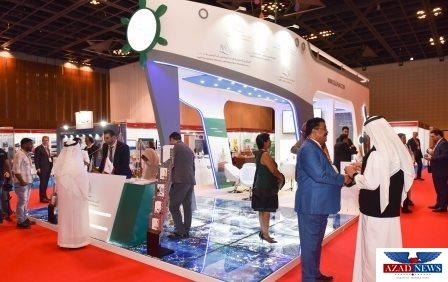 The 9th edition of Offshore Arabia Conference and Exhibition, successfully concluded today at the Dubai International Convention and Exhibition Centre, after 2 days of productive discussions on a number of key trending topics related to the Offshore Industry. The last day of Offshore Arabia 2018, featured a number of topics such as Sustainable Development Goals and the Offshore Oil and Gas Industry, High Efficiency Rapid Oil Spill “Treat & Skim” System, Overview Offshore Opportunities in the GCC, Using Artificial Intelligence to Manage Offshore Support Management among other topics. Eng. Fahmy focused on the importance of Offshore Gas Explorations and development as high potential opportunity will give the offshore industry strong future as reliable source of energy to provide 25% of total global Energy required to meet the increase in worldwide population to 9 billion in 2040, Fahmy concluded. As Artificial Intelligence, Internet of Things, Cloud Computing, 3D-scanning technology and Advanced Robotics are expected to have the biggest technological impact on the Oil ang Gas industry over the coming few years, a recent study commissioned by leading technology firm Lockheed Martin in the UK, found that investments in key technologies in the field of offshore infrastructure inspection could unlock more than 1 billion dollars in untapped revenues. 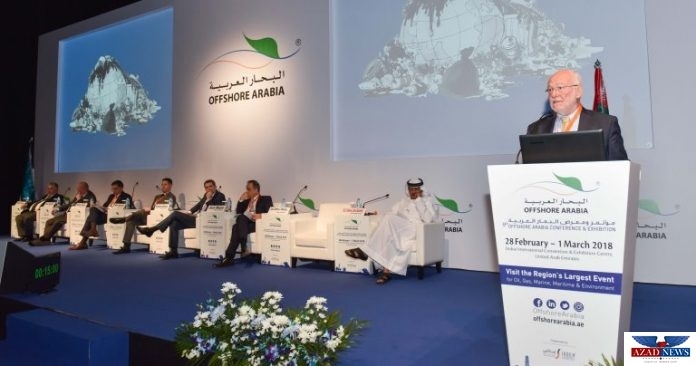 Running parallel to the conference, the Offshore Arabia exhibition, witnessed the participation of 50 companies from 40 countries, allowing them to showcase their latest advanced technologies in oil and gas and the marine and maritime sector while also encouraging companies to invest in new ideas and develop business opportunities and strategic partnerships. Offshore Arabia Conference and Exhibition, held under the patronage of His Highness Sheikh Mohammed bin Rashid Al Maktoum, Vice President, Prime Minister of the UAE and the Ruler of Dubai, is organized by INDEX Conferences and Exhibitions – a member of INDEX Holding and is supported by the UAE Ministry of Environment and Climate Change, the Dubai Chamber of Commerce and Industry and The Dubai Department of Tourism and Commerce Marketing, DTCM, Dubai Council for Marine & Maritime Industry (DCMMI), Federal Transport Authority – Land & Maritime, Emirates Classification Society (TASNEEF), Emirates Maritime Arbitration Center (EMAC), International Tanker Owners Pollution Federation (ITOPF), World Ocean Council, and UAE Shipping Association amongst many others.